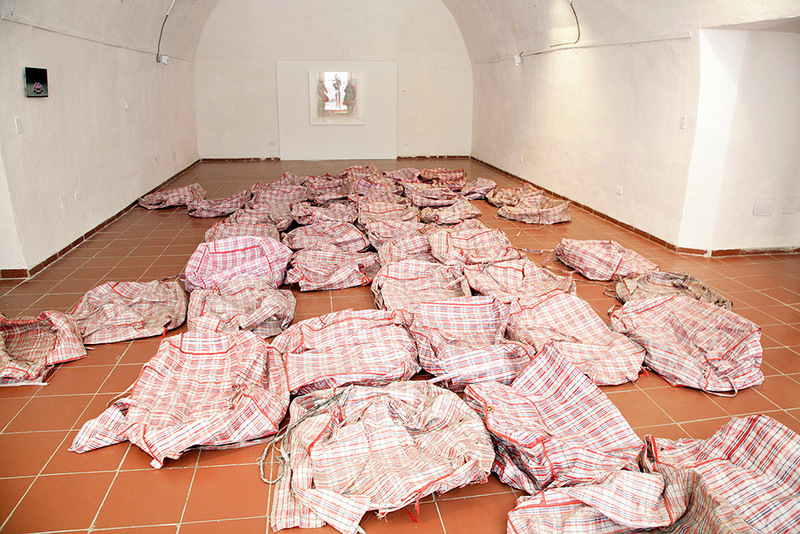 For the Havana Biennial, I exhibited an installation comprising 46 used (ones I swapped see: link) empty bags arranged on the floor along with a photographic image and a hand-woven map on the wall. The woven map shows the farming regions of Zimbabwe woven with Zimbabwean bank notes to the value of one million Zimbabwean Dollars. 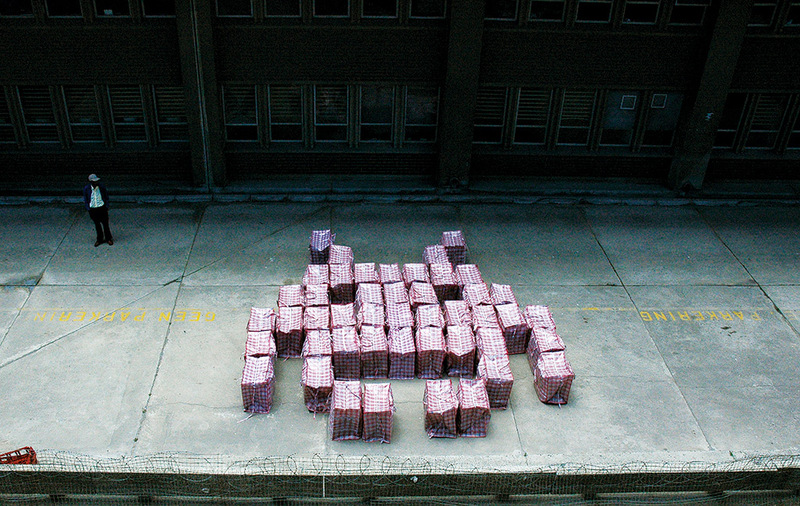 The photograph shows 46 full new bags arranged in the form of a Space Invader at the Refugee Centre in Cape Town. 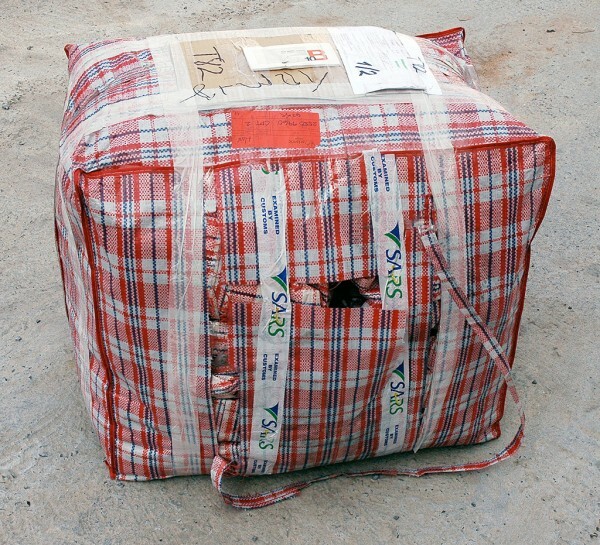 This image acts as a key to the installation of bags on the floor. The bags reference countless journeys, the residue of travelling far and wide. On route to Cuba the bag was opened and inspected by customs, and on arrival there were now two bags, each adorned with travel tags. These became part of the installation in Havana. The work that was returned to me after the show came in the form of one bag decorated with more tags, various exhibition labels and paperwork. 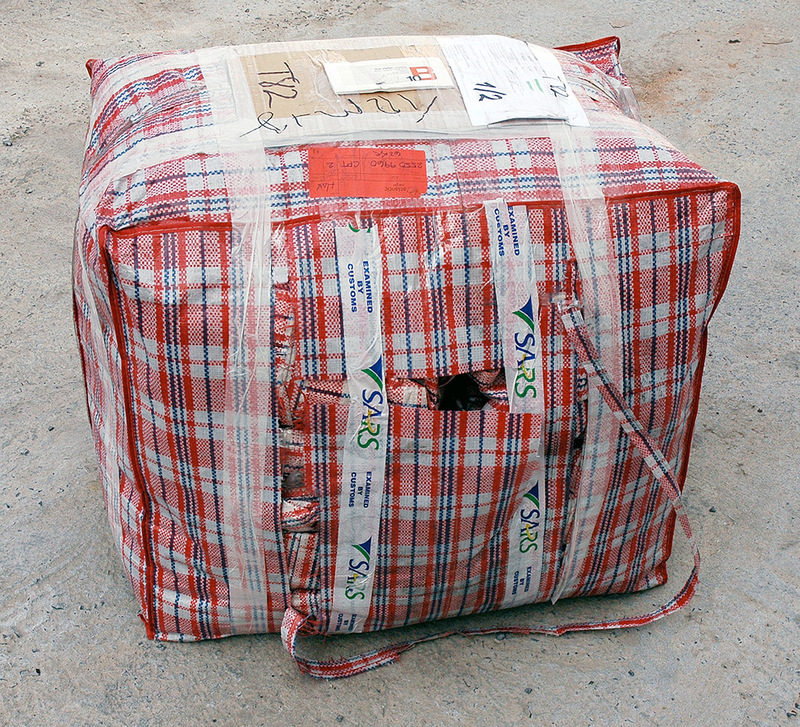 It had been opened by SARS (South African Revenue Service) and taped back together again. This new incarnation of the work was shown at the exhibition US at the Johannesburg Art Gallery (JAG) in 2009.